In our society, weight gain is commonly looked at as a negative. However, there is a very specific segment of the population where weight loss can have fatal results: hospital patients. A large portion of this group stakes its survival and recovery on nutrition and maintaining weight. Yet the very treatments many patients receive cause a loss of appetite. As healthcare facilities continue to focus on improving food quality, maintaining proper food temperatures and enhancing patients’ comfort level, there are few important factors surrounding food and appetite that should also be considered. Research highlights the significant effect of visually appealing foods on appetite. A study by Cornell University found that we appear to be strongly influenced by the shape, size, and the visual appearance of food that is presented to us. This provides healthcare foodservice operators the opportunity to prepare meals that help improve patient appetite and recovery time. You don’t get a second chance to make a first impression. 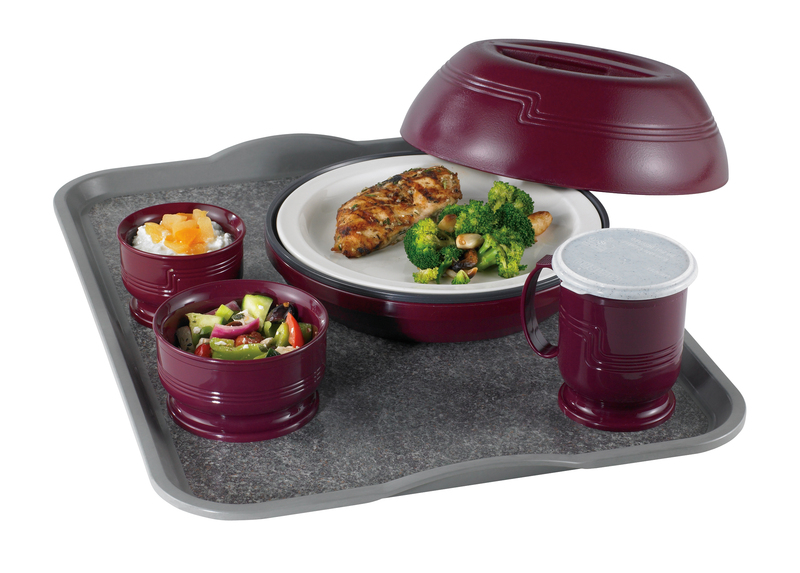 With every meal delivered, the food is introduced by the tray and dinnerware first. Delivering a neat tray presentation gives an impression of dedication and attention to the preparation, hence a perception of tastier food. Placing foods on a contrasting color plate enhances the appetite not only in patients but in healthy individuals. For instance, serving green beans on a white plate rather than a green plate tends to be more appealing. For a sophisticated tray presentation look, consider using matching dinnerware. Securing mugs, bowls and glass with sustainable reusable lids or disposable lids rather than plastic wrap, enhances the presentation while bringing other benefits, such as preventing spills and maintaining temperature. Nutritionists and foodservice professionals agree that color is one of the most important things to keep in mind with food presentation. When it comes to the psychology of foods, certain colors stimulate the appetite while others suppress appetite. For example, patients with dementia or Alzheimer’s find foods served on red dishes more appetizing than blue. The most appetite-boosting colors are yellow, orange, red, green, and white while the appetite suppressing colors are gray, blue, purple and brown (unless it’s a natural color of the raw food). Serving patients colorful meals that they find more appetizing also helps with recovery. Taste has the ultimate control over appetite which is empowered by the quality of the raw material, the process of storing and, of course, cooking. While seasoning gives food the taste it deserves, patients suffering from certain conditions or illnesses such as cancer are less tolerant to highly seasoned or spicy foods. Foods with little seasoning need to taste as fresh as possible. 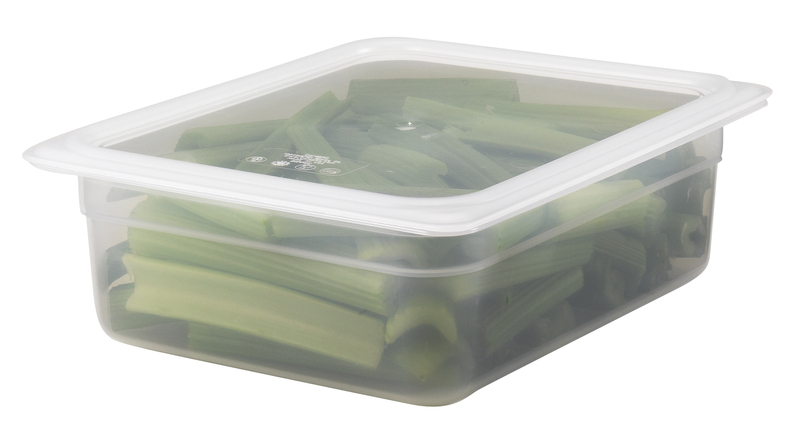 Keeping vegetables, fruits, meats, and poultry or fish fresh longer is easier with pans and storage containers with the proper fitting lids to maintain optimal quality and color of the food. For those patients who can tolerate more seasoning, improving the flavor while respecting the patient’s diet and condition notably improves the level of appetite leading to higher patient satisfaction. About one third of the patients entering the hospitals are already malnourished. “This increases the risk for complications and potential costly re-admissions,” says Melissa Parkhurst, MD, FHM, an associate professor in the department of internal medicine at the University of Kansas Medical Center. Whether alteration is required to the quality, taste or the visual aspect of the food, at the end, it comes down to the healthcare professionals and nutritionists to help patients with faster recovery. The Alliance to Advance Patient Nutrition, an interdisciplinary partnership of five prestigious organizations formed to improve patient outcomes through nutrition intervention. The interdisciplinary alliance represents over 100,000 dietitians, nurses, hospitalists and other physicians from all 50 states. Cambro Healthcare Specialists are available to answer your questions about product options for every step of your foodservice operation.